Congratulations to Whidbey Island SDA member Marianne Burr! 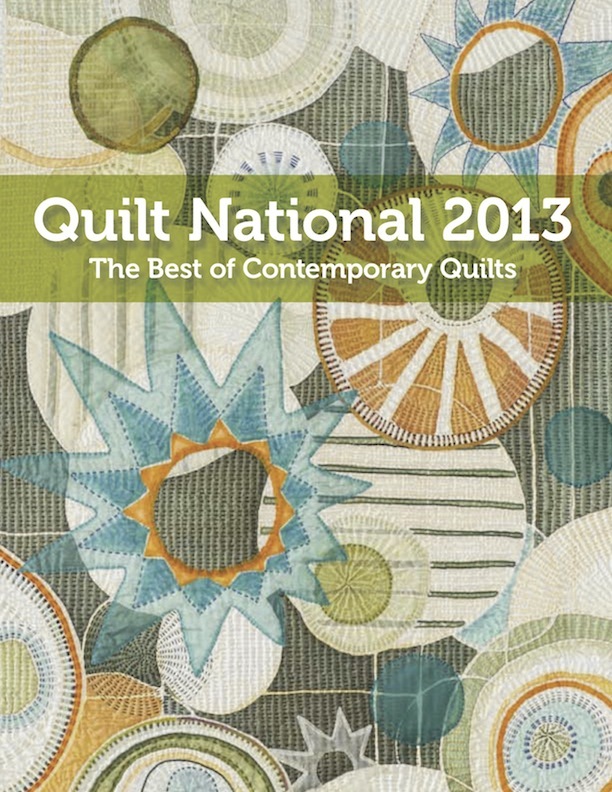 Marianne’s quilt, Thru the Lens was chosen to grace the cover of the catalog for the Quilt National 2013. Quilt National has built a reputation as one of the most competitive and compelling art quilt exhibitions in the world. Surface design techniques of all kinds have been used by the talented fiber artists who have used their talents to create the quilts juried into this event. 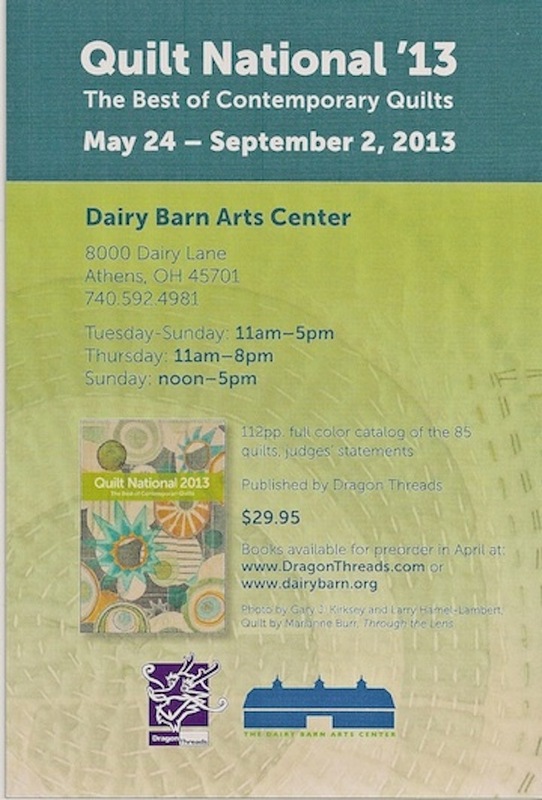 at Dairy Barn Arts Center in Athens, Ohio. Even if a trip to the exhibition is not in the cards, the catalog illustrates some of the most innovative techniques and excellent designs to be found anywhere in the world of surface design for fiber. The Catalog can be preordered in April at either the www.dairybarn.org or at www.DragonThreads.com. This entry was posted in Exhibition and tagged Quilt National 2013. Marianne, you rock, like you always did!!!!!!!!! Marianne, I am so happy for you. Way to go girl.